Pak considers US strike against Mansoor as an attack on its sovereignty. Will it turn to China now? By killing Akhtar Mansoor in Balochistan, US has broken its own rules. What would be the impact? What does this mean for the peace process? What will Pakistan do now? 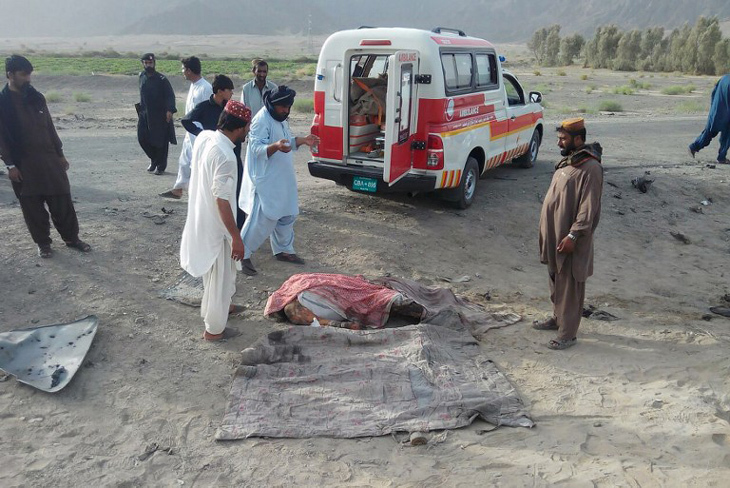 The killing of the Taliban Amir Mullah Akhtar Mansoor in a US drone strike on 21 May in the Dalbandin area of Balochistan in Pakistan, has significant implications for US policy towards the Af-Pak region. It will also affect Pak-US relations, the Taliban, the Afghan peace process and Pakistan. The drone strike signals a probable shift in US policy towards the Af-Pak region since this was the first American drone strike in Balochistan. The previous strikes were against either Al Qaeda targets or the Pakistani Taliban and restricted to the tribal areas (FATA). Out of the 390 such strikes since 2004, only 4 had been outside the tribal areas - a 2013 strike in Hangu district and 3 in Bannu in 2008. Balochistan, especially, was off-limits for drones, not so much because the Pakistani establishment loved the Pashtuns or the Baloch there but simply because of its nuclear activities and the presence of the Quetta Shura (the Taliban leadership council based in Quetta). What the US has done is to break out of its own self-imposed shackles by breaching Pakistan's red-lines - targeting the Taliban in Balochistan. This clearly red flags their growing frustration with Pakistan's dilly-dallying at neither curbing the Taliban terrorist attacks in Afghanistan nor bringing them to the table for direct talks with the Afghan government. This would be a further setback to Pakistan's relations with the US, already at a low due to the refusal of the US Congress to subsidise the 8 F-16s sought by it. The fact that President Obama himself issued a statement from Hanoi calling the death "an important milestone" and that the United States had "removed the leader of an organisation that has continued to plot against and unleash attacks on American and coalition forces," shows just how important this event has been. Mansoor's accession to the leadership position in July 2015 was messy since other prominent Taliban had challenged it. He had to expend a lot of time and energy trying to consolidate his position. His death could well ignite another succession battle within the Taliban. According to a Reuters report, the Taliban council has already met on 22 May to deliberate the succession. Among his successors, the focus is on Sirajuddin Haqqani, who is closely associated with the ISI and was recently elevated to the number 2 position in the Taliban hierarchy by Pakistan. In fact, Mansoor's rise to the top was in part due to the support of the Haqqani network that the ISI engineered for him. However, Pakistan's aspirations for Sirajuddin may not go unchallenged. The Taliban movement arose in the Kandahar region and imposing a Haqqani from eastern Afghanistan could cause a major split in the movement. It will be even more of a red rag to the US that has held the Haqqani network to be the most dangerous terrorist group and was described by Admiral Mullen as the veritable arm of the ISI. It is more likely that Mullah Omar's son Yakub, who is on the leadership council, could succeed Mansoor. This may not be to the liking of the ISI. Other contenders could be Maulvi Haibatullah, Mansoor's second deputy, Mullah Abdul Qayoom Zakir, former Taliban Defence Minister or Mullah Abdul Manan Omeri, the younger brother of Mullah Omar. Despite the tremors in the Taliban, the Afghan government may not get much respite from the on-going spring offensive. If anything, it would need to be prepared for retaliatory offensives in the coming days. 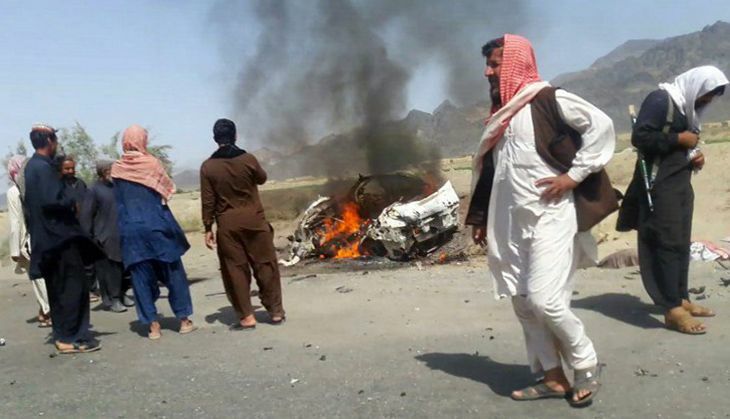 Even otherwise, any new Taliban leader would want to establish his credibility by launching a series of attacks. This also does not bode well for the peace talks. The subject itself has been a divisive one among the Taliban, especially those in the field battling the Afghan forces. For them, with the reduced US presence and with major territorial gains under their belt, talking peace with an Afghan government that is not willing to concede much makes little sense. Little wonder then that the Quadrilateral Coordinating Group (Afghanistan, Pakistan, China, the US - QCG) sponsored peace talks were going nowhere. At its fifth meeting held as recently as 18 May, all that the QCG could do was to reiterate that a politically negotiated settlement was the only viable option for a lasting peace in Afghanistan. It was obvious that the QCG process was petering out and Mansoor's killing may well be the last nail in the coffin of talks, at least for the moment. Where does the drone strike leave Pakistan? Mortified on several counts, to say the least. Five years since Osama bin Laden's killing in Abbottabad, less than a year since it was revealed that Mullah Omar too had died on Pakistani soil, Mullah Mansoor's death in Pakistan should make it remorseful. It can no longer hide behind the web of lies it has been spinning for over a decade. For Pakistan being at the High Table of international diplomacy has been one way of countering India's growing clout in the world. By its deceit, however, its position is starting to look wobbly. If, as is being claimed, Pakistan was informed after the event and Pakistan's Foreign office has denounced the attack as a violation of its sovereignty, it has once again caught the Pakistani armed forces with their pants down, like in the case of the Osama raid in 2011. What impact this will have on the popularity of the 'real Sharif' i.e. Army Chief, general Raheel Sharif is not difficult to assess. One indication is that ISPR and its head Lt Gen Asim Bajwa who is extremely loquacious in tweeting on the army's achievements, has literally gone off the air since 21 May. A word about China would be in order. Last week Gen Sharif was in China and Lt. Gen Bajwa had tweeted on 17 May: "Chinese Pol & mil leadership Reassured, China will support Pak in ensuring Pak's sovereignty, integrity, national security & development-3." Since Pakistan has termed the drone strike as 'a violation of its sovereignty' will the Pak army now ask China to ensure its sovereignty? Tilak Devasher retired as Special Secretary, Cabinet Secretariat, to the Government of India. His book Pakistan: Courting the Abyss is releasing shortly. TWEET THIS Pak considers US strike against Mansoor as an attack on its sovereignty. Will it turn to China now? By killing Akhtar Mansoor in Balochistan, US has broken its own rules. What would be the impact?